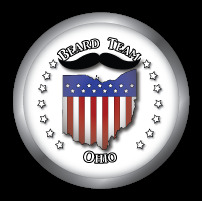 All proceeds to benefit Safe Harbor, a shelter for survivors of sexual and domestic violence. Oregon Wild Hair Moustache Wax® was mentioned in the August 11, 2010 edition of Lewiston, Maine's Sun Journal. 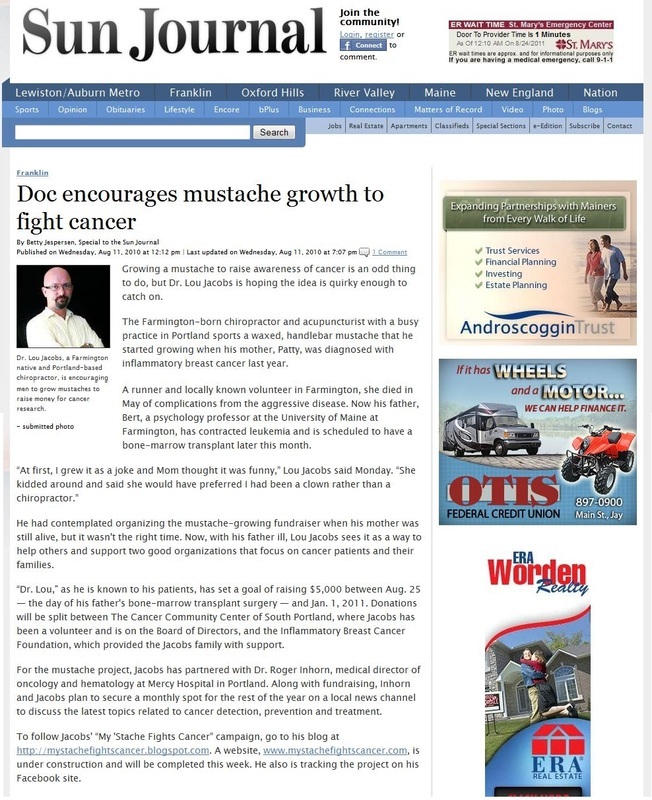 We are the proud sponsors of our customer Dr. Lou Jacobs's efforts to raise money for cancer research, and Dr. Lou was kind enough to mention us in the article done about his project. 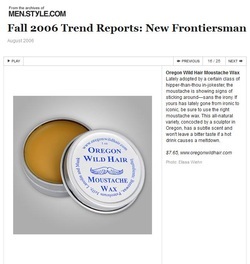 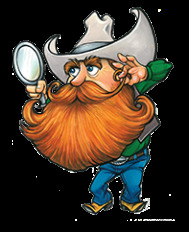 Oregon Wild Hair Moustache Wax® was featured in the 2006 Fall Trend Report of men.style.com in “The New Frontiersman" section. 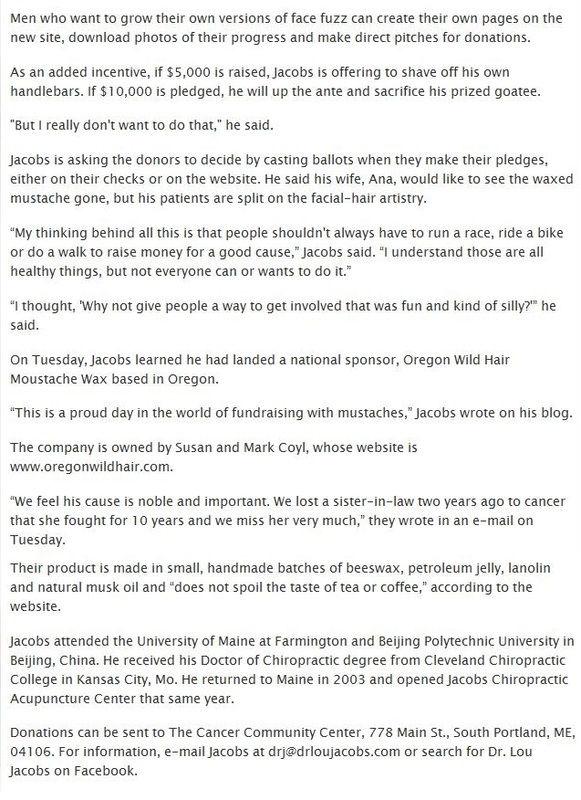 Go to http://men.style.com/fashion/trend_report/081506/frontier where they write, “If your [moustache] has lately gone from ironic to iconic, be sure to use the right moustache wax. 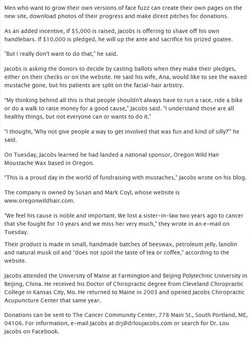 This all-natural variety, concocted by a sculptor in Oregon, has a subtle scent and won't leave a bitter taste if a hot drink causes a meltdown." Oregon Wild Hair Moustache Wax® was featured in the Fall 2006 issues of two German fashion magazines: ninetofive and FELD Hommes.